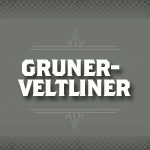 Gruner Veltliner is a white wine grape variety mostly grown in Austria, the Czech Republic and Slovakia. It can be used to produce a wide variety of wines ranging from simple jug wine to more complex wine meant to mature in the bottle. Not very aromatic in its youth, with aging this grape variety reveals white pepper, celery, lentil, citrus and honey.